Alcoholism is a serious problem that affects all aspects of an individual’s life and family. When someone is captured by the appeal and draw of alcohol, to the point of addiction, normal life is impossible, and the physical side effects are staggering. 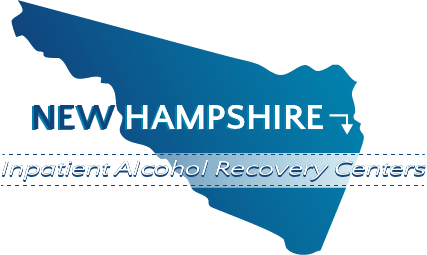 In New Hampshire, alcohol is the second-most common addiction, second only to heroin, making it a serious problem that needs intervention. In 2013, over 4,400 people in New Hampshire were admitted to substance abuse treatment facilities. Of those, 1,017, or 22.7 percent, were admitted for alcoholism, and another 677 or 15.1 percent were admitted for alcoholism with a secondary drug addiction. These are significant numbers, considering the most common addiction, heroin, was responsible for 1,159 admissions. Of those who were admitted, men were more likely to suffer from alcohol problems than women, with 65 percent of those admitted being male. The 46 to 50-year-old demographic was the largest, with 16 percent of those admitted falling in this age range. White individuals were the vast majority of those who sought treatment, with 95.1 of the admissions being white individuals, primarily those who were not Hispanic or Latino. Understanding these demographics will help you know if someone you love is at risk for alcoholism problems, yet the condition can affect people in any stage of life, with some admissions as young as 12 to 17 years of age. If you or someone you love is struggling with alcohol addiction, help is available, and inpatient treatment can provide the resources you need. When someone is addicted to alcohol, the addiction takes over all aspects of life. From physical symptoms to emotional struggles, breaking free from addiction requires intensive help. Inpatient alcoholism treatment provides that help and is quite successful as a result. Inpatient alcohol treatment requires the person struggling with alcoholism to live at the treatment facility, receiving intensive therapy to get free from alcoholism. Treatment typically begins with the detox process. Detoxing from alcohol addiction can create serious mental and physical side effects, which the treatment center will help with, providing relief for the pain and discomfort associated with detox. Once the body is free of the effects of alcohol, therapy sessions begin. These sessions, held as group therapy or one-on-one meetings with a therapist, teach how to handle triggers and avoid alcohol in the future. This combined approach to treating alcoholism gives the individual the tools necessary to enjoy a normal life free from the shackles of alcoholism. The Farnum Center, located in downtown Manchester, offers inpatient treatment for a range of problems, including alcoholism. Treatment includes traditional treatment methods combined with recreation, such as exercise, meditation, music and field trips. The Tri-County Community Action Program offers a range of facilities and services to aid in alcoholism treatment. TCCAP’s Step One facility is located in Berlin and focuses on the needs of adults living in New Hampshire who are struggling with addiction and alcoholism with the immediate sobriety maintenance they need as they seek treatment. This may be followed by admission to the Friendship House, a 28-day or 6-month inpatient residential treatment program located in Bethlehem. Located in Canterbury, the Odyssey Family Center offers inpatient substance abuse including dual diagnosis for those struggling with co-occurring mental health issues. This clinically managed program lasts six to nine months and includes services for pregnant women or moms of young children as well as adults in other stages of life. If you are looking for an inpatient alcohol treatment facility that will meet your needs, AlcoholTreatment.net can help. Contact AlcoholTreatment.net to be connected with a treatment center that can meet your needs well.